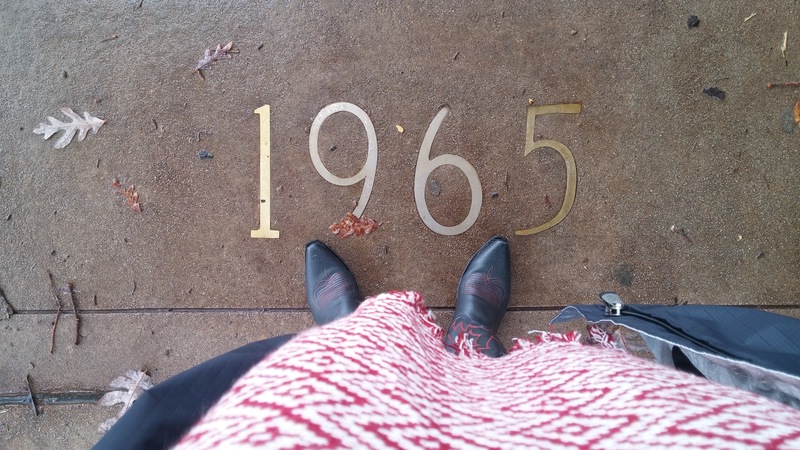 Let me take you on a quick flashback to 1965. The average yearly income was $5,942, a stamp cost you a mere .05c, and an Impala station wagon would set you back a whopping $2,909. The TV highlights that year included a 29-year-old Peter Jennings becoming anchor of CBS “Nightly News” and Sonny and Cher making their first TV appearance on “American Bandstand”. New TV series such as Green Acres, The Big Valley, Gidget, Hogan’s Heroes, Lost in Space, the Dean Martin show, I Dream of Jeanie, Days of Our Lives, and the most infamous, A Charlie Brown Christmas all premiered. Snoopy and I are still best buds. There was also some awesome new music from bands that all had top singles such as the Rolling Stones, The Beach Boys, Herman’s Hermits, The Byrds, and the Beatles. I’m still listening to them today. In addition, two of my all time favorite movies were released, Doctor Zhivago and The Sound of Music. I may have acted out and sang every song to the later during my 8th grade library duty. No shame y’all. Some other significant events that happened that year includes things such as new labels on cigarette packages carrying a warning that it may be hazardous to your health, meanwhile Great Britain flat-out bans cigarette advertising from television (United States is always sooo behind!). It’s been fifty years, yet people still smoke. Sigh. A bit ironic though that food is the NEW poison. Of course the above includes just a few of the highlights from 1965. By far the biggest event that occurred that year was MY birth. Just ask my momma! And as my way would have it, I showed up early; a month to be exact. I was ready ya’ll. My mom though was completely surprised in more ways than one. In fact the story goes that when the doctor came out to tell my father and Grannie (cause back in those days it didn’t take a village to deliver a baby) that a girl had been born, my Grannie jumped over a bordering rope to tell the doctor thank you. He kindly replied, “I had nothing to do with it!” After having three boys, I think they were all happy with the turn out. Fifty years ago that happened. FIFTY ya’ll! I’m not even sure what to say about turning the BIG 50. I’m not sure how I’m supposed to feel, how I’m supposed to look. It’s a bit surreal honestly. I mean age is just a number right? Well, unless you’re on the older side of the number and then…it’s a big deal! I remember when my mom was 50, my aunt turned 50, and all my brothers reached what seemed to be that far fetched number. But here I am today, 50! Why. Is. It. So. Hard. I’ve searched but I’m really not able to define my being fifty feelings, sum them up in a post, or reflect the last fifty years in a profound way to you. I’m certain though of one thing. God willing this day will come and go and the sun will rise tomorrow. What I’ve dreaded for at least a year will slip by me and the next day will carry on as usual. I’m ok with that because I’ve created a life that is a reflection of fifty years of experiencing good and bad memories, happiness, love, sadness, heartache, self abuse, failures, successes, exhaustion, knowledge, empowerment, and a whole helluva a lot more. All of that life stuff got me to here. To this site, to this passion, to fulfill this very important mission that I pray I can work at for another fifty. Life stuff (and birthdays) will continue to come and go but that can only make me better, do better, and share it all with you. I mean we are all in this journey together right? The world is a not what is was like in 1965 (trust me!) today it is a very scary place and it changes at a very rapid pace. You can be certain of the one thing, the most important thing I’ve learned in my ummm…fifty years: “No matter what your faced with, no matter what life dumps on your porch, you have the courage to face it, the strength inside you to deal with it, and the power to overcome it. “ Yes, WE do! Now let’s pop the cork and celebrate! THE GREAT EGG DEBATE IS SOLVED! Happy birthday, dear friend. So happy you were born! Welcome to 50. It really is fabulous! happy birthday gf! loved this post! enjoy!